Awesome!!! 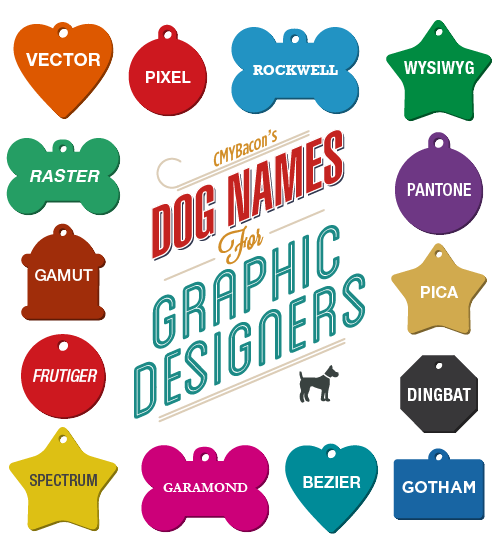 I worked in a studio where the company mascot (a nasty Standard Poodle) was named Caslon. My Dog is named Render! When the Bride is an Artist..